The Kooks’ new single “Down” is sort of a funky little tune - they've taken a different approach, with a staccato beat and a chorus that's like a call-and-response sea chanty. It's an attention-getter, which makes it a good choice as an advance track for their upcoming album, and to anchor this four-song EP. The other three songs on the Down EP (“Hooray For Henry,” “Hold On,” and “Melody Maker”) are exclusive to the EP, and they each explore a slightly different approach to guitar pop, which is what you come to The Kooks for, after all. To me, the revelation on here is "Hold On" - it's an extremely funky blast of Curtis Mayfield-inspired soul with a racing drum beat, bouyant strings and psychedelic lead guitar. I'm no label scout or even a radio guy, but to borrow a phrase, I think I hear a single. 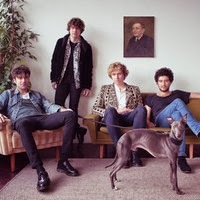 The Kooks are: Luke Pritchard - vocals and guitar, guitarist Hugh Harris, bassist Pete Denton and drummer Alexis Nunez. More about the upcoming album, Listen, and tour information at their website. 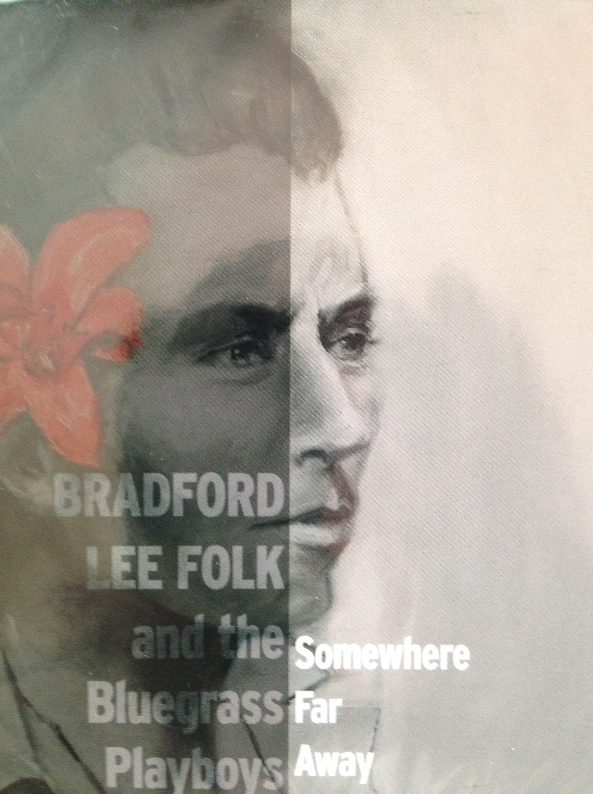 Bradford Lee Folk is a bluegrass singer and guitarist who's based in Nashville, though he's originally from Louisiana and raised in Missouri. Folk lives outside of town and farms during the day, then comes into town to play at night. He says he grew up listening to country, blues and old time string bands, but when he was in high school he encountered the high lonesome sound of bluegrass via a Flatt & Scruggs cassette, and since then he's been devoted to that sound. Folk’s worked on a dairy farm, led a touring bluegrass act named Open Road that finally succumbed to the strains of business expectations and the touring lifestyle, and has run his own honky-tonk in Colorado, so there isn't going to be much to intimidate him. It also lends his music an engaging strain of world-weariness and hard-won wisdom that's pretty rare. The music is bluegrass primarily, with other influences (country rock or Americana, in places). But it's not the least bit watered down, faux or derivative. Brad Folk and his band - Robert Trapp on banjo, Christian Sedelmyer on fiddle, David Goldenberg on mandolin and John Fabke on bass - play with skill, yet at the same time with the kind of abandon that makes one take notice. As you know, we'll feature anything we like on WYMA - and I'm happy to throw some bluegrass on here. If you are a fan of McCoury, Tim O'Brien (who we featured recently) or the great old stuff like Flatt & Scruggs, Ralph Stanley and Bill Monroe, this album will not disappoint you. 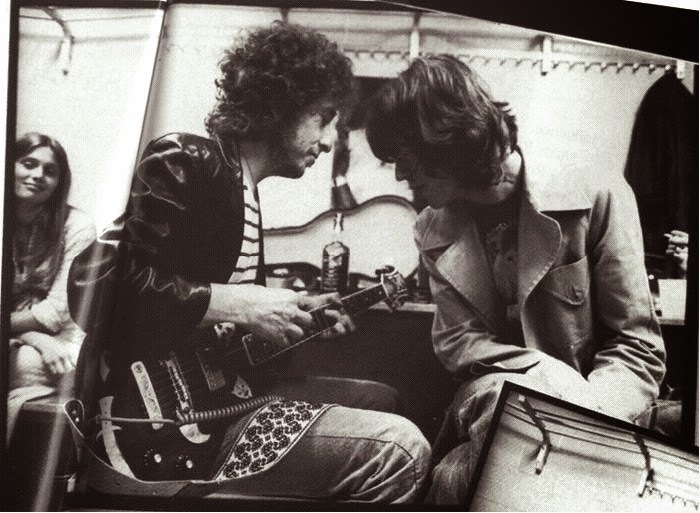 While The Rolling Stones supposed "rivalry" with The Beatles always drew a great deal of media speculation, the more interesting dynamic to me was how much The Stones, Mick Jagger in particular, were influenced by Bob Dylan. Certainly that influence was seen on one of the Stones' signature songs, "Sympathy For The Devil", that we featured here on Rolling Stones Friday two weeks ago. Everything about it speaks of Bob Dylan - the ragged acoustic guitars, bluesy slide guitar, Nicky Hopkins's barrelhouse piano, and certainly most obviously the crazy cast of characters in the word-heavy, odd story lyrics. With the bishop's daughter, a luger-toting gangster, 20,000 grandmas waving their hankies in the air, and the Queen, all that's missing is Napoleon in rags. Note Mick's references to his band members (for the legendary groupie hound Bill Wyman: "And the bass player, he looks nervous about the girls outside."). I love the sound of the opening slide guitar, played by Keith Richards not Brian Jones who was technically still in the band but out of action by this point. "And the guitar players look damaged, they've been outcasts all their lives." To the best I can uncover, "Jigsaw Puzzle" has never been played live by the Stones, which is inexplicable and unfortunate. Josh and Joel Meadows have been treasured members of Australia's guitar pop scene for a few decades, first as The Sugargliders, and now at the central figures in The Steinbecks. But despite the passage of time, their music still is fresh, full of youthful vigor and wide-eyed acceptance of the world. As to be expected, there is some nostalgia and a bit of regret here and there. But these fellows aren't mopes. 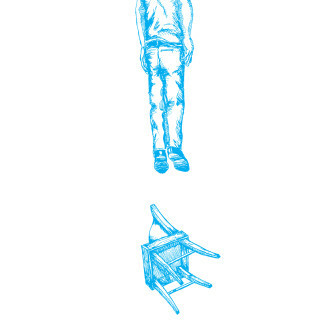 However, more than anything else, the set of songs comprising The Steinbecks' new LP Kick to Kick convey the Meadows brothers' love for music (theirs and others), for telling a story set to chords and rhythms, for finding the right hook to sell the lyric, for a life's work crafting an art form to satisfy yourself and, if you are lucky, a bunch of other people as well. And while the general style is not unexpected, there are some muscular riffs echoing alt-rock influences, as well as some psychedelic touches. Time hasn't stood still and neither have The Steinbecks. The album begins with "Homesickness", the somewhat unsettling lyrics offset by a bright guitar pop arrangement. Next is "At Arkaroo Rock", which was featured on these pages last year. The song compares the layers of the geological formation with the layers of a relationship. Other standouts for me are the Dunedin-like "Blow the Limen", the jangling "Trying to be Someone", which boasts a robust bassline as well, and the title track, "Kick to Kick". And then there is "I, Radio", which may be the most distinctive track on the album, musically and thematically. Initially via spoken word, and then via singing, the narrator provides a paean to indie rock and the value of radio to the music experience. Long-time fans probably need no more encouragement, but I urge new fans to experience the delights of The Steinbecks. With Kick to Kick, they have made it easy to be loved. Kick to Kick is available in the Americas and Europe via Matinee Recordings, and in Australia, Asia and Africa via Popboomerang Records. REVIEW: Muuy Biien - D.Y.I. Athens punks Muuy Biien are back - following up on last year's This Is What Your Mind Imagines (WYMA review here) with an even better, more fully-realized album. D.Y.I. has the bouncing rhythms, slashing guitars and guttural vocals that made their first album so memorable, but the ambient interludes (this time entitled "Cyclothymia" I, II and III) are better, and the music overall is even stronger. "Crispin Noir" in particular is an amazing track, just under 3:00 of constantly changing guitar sounds and a rhythm section that dares you to sit still while listening. Plus, it's 3:24, long enough to pound you into submission without feeling like they've stretched the slightest bit outside their comfort (or discomfort) zone - and to allow for a bit of the ambient stuff at the end, leading into the second "Cyclothymia" interlude. By the way, the title stands for "Do yourself in" - a statement, taken in concert with track titles like "Human Error", "White Ego" and "Virus Evolves", that lends itself to the conclusion that we humans are often our own worst enemy. Josh Evans doesn't spare himself from the rage that this album throws off...you get the sense that when he's screaming "be a man/do yourself in" he's not talking to anybody else, but rather he's sort of trying to see how far he can push himself and still retain some hope. Of course artists frequently explore unpleasant topics in order to generate emotional reactions, but Evans is really pushing it here... and the results sure grab your attention. Whatever the genesis of its up-front, powerful emotions - crappy jobs, grueling travel, relationship problems - this is just a hell of an album. In 1977 it would have been a hell of an album, but especially today, with so many punk pose-strikers, Muuy Biien's D.Y.I. stands out as the real thing. The album is out this week (Apr. 29) in the US, later in May in the UK on HHBTM Records. 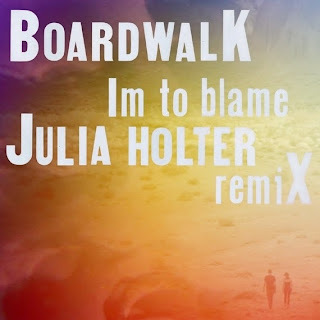 REMIX: Boardwalk posts Julia Holter remix of "I'm to Blame"
Then, if you've got the time, the talent and the inclination, you can grab the Boardwalk stems in a zip file here, and make your own remix. Then you can post it to the Stones Throw group on Soundcloud. There are three already! Can I make a confession? I liked the original quite a bit, and I doubt it can be improved upon. 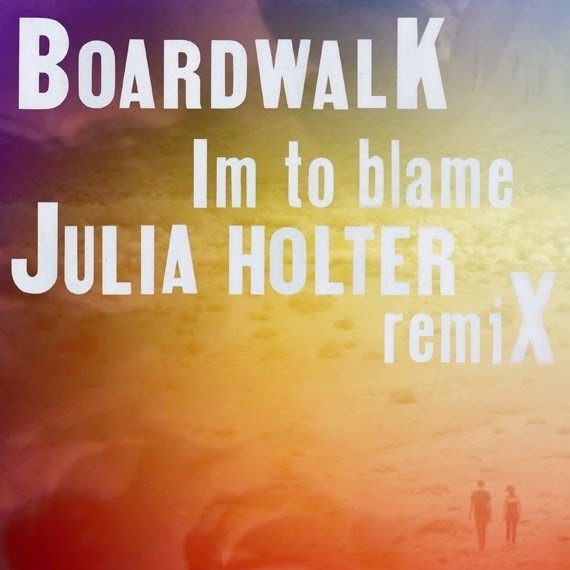 But I am glad to see so many folks like Boardwalk's music enough to make these things. A few weeks ago we featured "Minha Menina", a wonderful Brazilian-flavored guitar pop gem from the new group Donovan Blanc (here). The band, consisting of former Honeydrum members Joseph Black and Raymond Schwab, have released the second track from their upcoming June LP. "Hungry A Long Time" is a jangly treasure, and will call to mind the Dunedin sound of The Bats and The Clean, and '60s guitar pop. The debut album is out on June 24 on Captured Tracks. Mark your calendars. Already a passionate band with a furious, straight-ahead postpunk style, The Shackeltons seem to have drawn power (and, to my ears, grace - no, majesty) from singer/songwriter Mark Redding's personal journey of late. As the band was growing in stature between 2006 and 2010, he learned that his mother was ill and eventually, he took time away in order to be with her. As is the case so often, a decision made for the right reason, is often proven right for many other reasons. Redding's mother appears on the record in a couple of recordings which strike a just-right tone surrounding the angular guitar noise, squalling sax and pounding rhythms. But it's the passion evident in this music that shows how Redding came back to rock and roll with a renewed spirit and, in that, he honors his mother greatly. Of course, if the music wasn't so thrilling, this would just be a nice story and, while Redding would always be admirable for risking his music career to attend to his mother, we would probably not know about Records. This album is a tremendous accomplishment - heavy, ferocious, and somehow at the same time heartfelt and emotionally full. I've also seen Pixies comparisons, and perhaps that's apt - you can hear it somewhat in the bass rumble, frantic-sounding vocals and overall heaviness of a lot of the material. 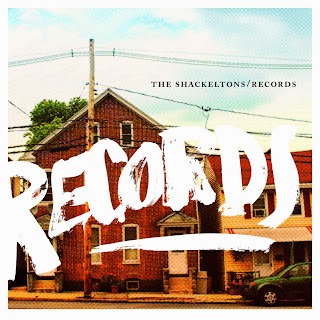 But The Shackeltons are their own band, having matured a ton between their debut and this long-awaited followup. Records is available now (out Apr. 22) on Think Loud. The London duo Elephant, consisting of Amelia Rivas and Christian Pinchbeck, have pulled off a difficult feat. In Sky Swimming they have created a well-balanced 12-track set of dream pop/beach pop/chamber pop of a style that often is charming in the 7" or EP format, but just as often can lose steam as an LP. But more than that, they have addressed disintegrating relationships while in a real time parallel their own relationship was breaking. All the components on the album are tasteful, with just the right amount of restraint and bubbling melody to make this the perfect accompaniment to floating in the pool or drifting the evening away on a sailboat. But the purpose and drive shine through with the careful infusion of strands of '60s pop, the emotion of the performances and the evident overall care in which the songs are arranged. It may be a soundtrack to a figurative breakup. It could be the soundtrack to your breakup. But dammit -- it still is a seductive listen, and an album you'll return to all summer. Sky Swimming is out today via Memphis Industries. Daleth Karl is a talented "new school" roots reggae artist. He has resided and performed in the UK and France, both solo and with the now defunct group Idrenites. His first release for Bristol's Sugar Shack Records is the People 7". The CD version is a two-track recording, and is a limited run of 100 numbered copies. 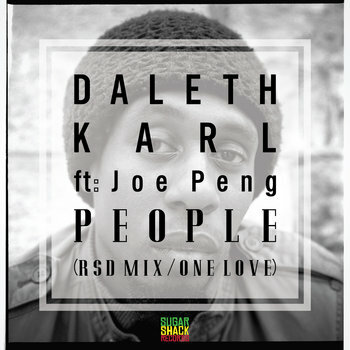 The tracks are "People", featuring Joe Peng, and "People Dub (RSD Mix)". A purchase of the CD comes with a download of those tracks and three other mixes. You can stream the title track and one of the mixes below. If you like them I encourage you to hit the Bandcamp link and stream all of the tracks. I was impressed with each of the dubs/remixes. The base tune is uplifting, and each mix adds its own individualistic twist. The People 7" was released yesterday by Sugar Shack Records, which in conjunction with its sister labels in Bristol remains one of the finest sources of reggae on the planet. The songs on Cast Away, the new LP from Melbourne's electro poppers Strange Talk, are radio friendly and commercial/jingle-ready, but don't be a hater. These guys simply have a knack for hooks and melody. 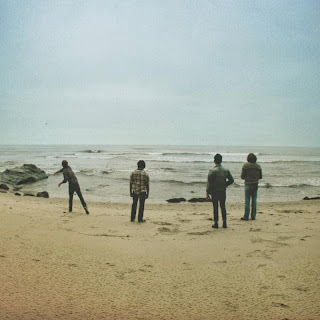 And digging a bit below the surface, the band appears to have written a batch of tunes that encapsulate the spirit of summer - drives with the window open, beaches, pools, vacations, flirting, dancing, and looking up at the stars. For many, putting this record on your player may turn into a several month commitment. And while an album full of electro-pop always raises the danger of sameness, Strange Talk has skillfully mixed up the approach. The album starts out brightly with the title track, then the club-ready "Picking Up the Pieces". "Eskimo Boy" and "Climbing Walls" dish out thick electro-funk, while the throb of disco infuses "Falling In Love". "Another Day" displays the band's dream pop chops. They soar on "Young Hearts", yearn on "So So La La" and even roll out a slow burner, guitar solo and all, on "Come Back Home". And my favorite of all is "Morning Sun", a gloriously good track with a synth riff that happily recalled for me a riff from "She Drives Me Crazy" by Fine Young Cannibals. Cast Away is out April 29 via Wind-Up Records. Strange Talk are Stephen Docker (vocals, keys), Gerard Sidhu (bass, keys), Travis Constable (drums), and Gillan Gregory (guitar, keys). According to the band, they are a classically trained violinist, a dance producer with a DJ background, and two funk/soul musicians. Perhaps not the precise mix you would expect, but there is no reason to question the results. The worldwide economy requires continual exercise of thoughtful commerce to stave off the forces of evil and delay armageddon. I'm sure you all want to do your part, but sometimes need a little guidance. So you sit in front of your computers with dollars/pounds/Euros/futures contracts for barrels of oil clutched in your hands waiting for prudent spending suggestions. I live for these moments where I can be of service to humanity. Today's suggestion for sustaining global commerce and the advancement of humanity is Doll/Candy Darling from Trick Mammoth. I've been a big fan of the band for some time (most recent post here), so it is no surprise that I'm enthusiastic about another record from the Dunedin, New Zealand trio. But in my view, this little release confirms my opinion that Trick Mammoth not only is a good band at the moment, but that it is a band with the potential to reach greater heights. Doll/Candy Darling is two tracks of sweetly melancholy jangle pop that I think rank among the best songs this young band have created. "Doll" is a sad song buoyed by a energetic melody, Millie's lead vocals and Millie and Adrian singing the chorus. "Candy Darling" is an affecting jangle pop tune featuring Adrian's lead vocals. Very few bands can layer the sweet and the sad as well as this one. Trick Mammoth are Adrian Ng, Millie Lovelock and Sam Valentine. Millie and Adrian both play guitar and sing, Sam drums and they all take turns playing bass. Other bands for the three members include Males (Sam), Mavis Gary (Adrian) and Astro Children (Millie). They are being released as the second installment of 2014's wiaiwya-7777777 7" picture disc singles club, and will be available in vinyl and digital formats. If you pre-order you will receive an immediate download of "Candy Darling", which can be streamed below. Perhaps a bit of background with respect to wiaiwya-7777777 is in order. It is a London-based club devoted to the format of the 7" record. You can subscribe to the entire 2014 series or purchase individual releases. However, individual vinyl purchases of each release are limited to 77. Subscribers to the 2014 edition will receive seven picture discs that in the aggregate provide an illustrated seven step guide to releasing vinyl records. The other bands/artists will be Clemence Freschard, The Leaf Library, The School, The Secret History, The Human Hearts, and Eagle Owl. NEW SONG: The Donkeys - "Blues in the Afternoon"
It features the laid-back vocal style they have made so familiar, some jangly guitar and sweet keyboard sounds. Really looking forward to the new one, their first for Easy Sound Records. It's available for pre-order, and they're going out on tour after the release too. More at their site or the Easy Sound site, below. Donkeys at Easy Sound Recording Co.